Transparency: How Leaders Create a Culture of Candor is a collection of three essays written by Bennis, Goleman, O’Toole and Biederman. To read the review on the first essay Creating a culture of candor by Warren Bennis, Daniel Goleman, and Patricia Ward Biederman, click here. Speaking truth to power, by James O’Toole, is the second essay from Transparency: How Leaders Create a Culture of Candor. Speaking truth to power has been a long-standing issue throughout History. It is a very common and complex matter that has direct repercussions on an individual’s life, career and health. In this essay, in order to illustrate the concerns raised by a lack of transparency, many examples have been extracted from literature, from 2500 years of History and from James O’Toole‘s personal experience during his research in corporations. Why speak truth to power? Speaking truth to power creates a healthy and successful company culture in any given organization. What makes speaking truth to power so convoluted? Speaking truth to power can be perceived as disloyalty, dissidence, insubordination or non-conformism because it challenges old assumptions, systems that are already in place, defies group-thinking and questions the authority, decisions and ego of the person in power. Speaking the truth also implies having to make the person in power admit their mistake. James O’Toole blames this impugning perception on the stubbornness, the stupidity and the hubris (arrogance of power) of leaders who reject good advice and are incapable of hearing the truth. That is why, leaders must openly listen to their employees, understand their working conditions, rethink old assumptions and avoid group-thinking at all cost. Speaking truth to power does not go without risks: most employees are not willing to report any misconduct or unethical behavior by fear of retaliation, by fear of being reprimanded, by belief that no action will be taken by management or by Human Resources (HR). How to create transparency and trust within an organization? According to James O’Toole, corporations should hire at leisure a “corporate fool”, term quoted by Verne Morland, an executive at NCR in the 1980s. A “corporate fool” is a modern day jester that is capable and licensed to speak truth to power and create controversy. The role of the “corporate fool” can be associated to the role of women in modern day organizations. Indeed, women are unafraid to challenge the system and to speak truth to power in corporations as they have only recently been evolving in the male-dominating corporations and as a result have not learnt any ethical misbehavior. Not to mention, women have throughout History stood up courageously to authority at the peril of their lives. Leaders must consistently tell the truth to their followers. Leaders must be comfortable with the truth. Leaders must demonstrate appropriate respect towards their followers by sharing relevant information and actually including them in the flow of information. Leaders must gather the necessary information before making any type of decision. Leaders must value openness, empower those who tell the truth and must not reward those who do otherwise. Leaders at the top should not reward other leaders for their ability to compete nor congratulate leader’s misconduct. It must do no harm to innocents. It must not be self-interested (the benefits must go to others, or to the organization). It must be the product of moral reflection. It must come from a messenger who is willing to pay the price. It must have at least a chance of bringing about positive change (there is no virtue in tilting at windmills). Throughout History, organizations have punished those that speak truth to power, have challenged their loyalty, have put their sanity to the test, have labelled them as crazy or angry people. So why blow the whistle? Whistleblowers are loyal to their organization and not assumably to their leaders. 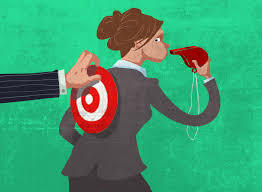 When the leaders betray the values and the integrity of the organization, whistleblowers come forth and are ready to denounce publicly any signs of foul-play. Is there an appropriate time for whistleblowing or for speaking truth to power? The time is right when one is mature enough to objectively analyze the situation at hand and is virtuous enough to be able to temper his or her anger. To read the review on the first essay Creating a culture of candor by Warren Bennis, Daniel Goleman, and Patricia Ward Biederman, click here. Speaking truth to power is perfect for leaders who are looking to understand what transparency is all about and are starting to implement it in their organization. In Speaking truth to power, James O’Toole makes us realize how far this issue goes back, how much human nature is to blame for a lack of transparency and why a step has not been taken to generally encourage transparency, even though success, effectiveness and trust should be incentives for corporations. In reality, speaking from personal experience, most candid, virtuous and conscientious people do not climb the career ladder in corporations and sojourn at the bottom until they learn to moderate their opinion. Otherwise, they are perceived by team members and leaders as being weak, insubordinate, insolent and disloyal. I’ve seen many straightforward people being exemplarily managed out of corporations while leaders kept asking their employees to be transparent and while those who did the leader’s dirty deed were promoted. As a result, it created a toxic and unsafe environment where no one would speak up (not even HR) to the wrongdoings of management. If candid people are not able to sugarcoat their opinion, they end up whistleblowing or leaving the organization. And so, I did. In a recent scientific survey of a cross-section of American workers, over two-thirds report having personally witnessed unethical behavior on the job, but only about a third of those say they reported what they observed to their supervisors. The reasons given for their reticence range from fear of retaliation to the belief that management would not act on the information appropriately. In essence, trust is hard to earn, easy to lose, and, once lost, nearly impossible to regain. I review the list of good leader characteristics and sadly we are rewarding several leaders that fail in these areas. It seems that the edgier a leader is, the more desirable. This could definitely be problematic. Thank You Esse D for your comment. 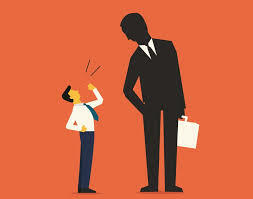 In the corporate world, nice guys usually finish last and the “edgy” leaders finish at the top of the corporate ladder. It is definitely something that we should worry about. Speaking truth is the the only way to freedom whether in a corporate work place. It is the key to awaken the honest authentic voices we all have and need to share in order to unite as one human RACE! Great article. Great post! Speaking the truth is so vital yet many people cannot understand the power truth has. Thank you jotimann. Most people are afraid of the truth and intimidated by the power that it has. Truly great leadership is so hard to come by unfortunately. Great post, too many times I’ve worked with leaders that are talented but have no respect for people. Trust is so important. Thank you Kirsty Thomas! Trust allows members of an organization to be open with one another. Their bond become.ea solid then. I really think transparency is key in all aspects of life, not just work and organizations. Many of us don’t like to hear the truth, but it is so important! Thanks for writting this! Unfortunately, many people favor a pleasant lie than the crude truth. Transparency in organizations would benefit everyone. Thank you for commenting! This post is a perfect guide for a leader and a follower to have a great working relationship. Yes, it is essential to understand that the truth is not our enemy. Thank you for commenting!